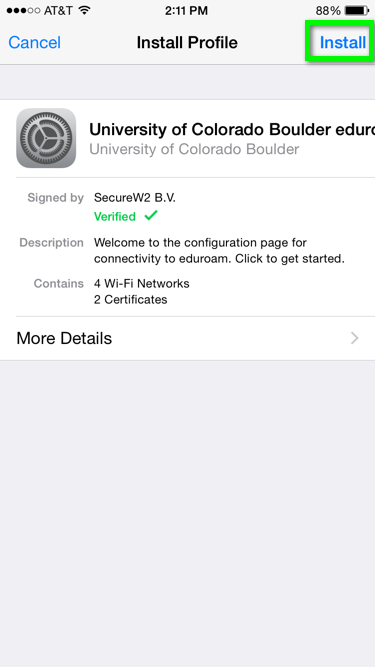 The following documentation shows the process of getting your iOS device setup to connect to the eduroam secure wireless network. 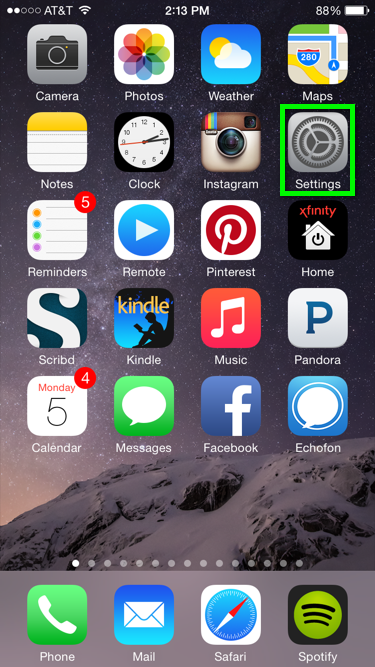 The following screenshots are taken from iOS 8, however, the process should remain the same for iOS 7 devices. *Note: You may be required to set a passcode for your phone when using eduroam. 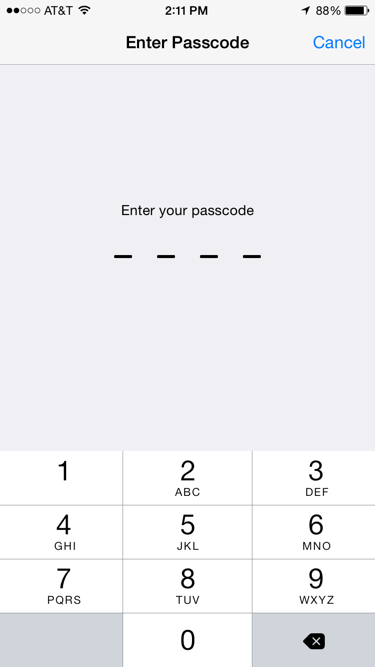 Refer to Apple's iOS passcode support page for information on setting up a passcode on your iOS device. Open a browser (Do not use Chrome as your browser, some issues may occur) and go to the iOS configuration start page (https://cloud.securew2.com/public/41406/eduroam/). *Note: Use UCB Wireless, Guest wireless, or another network to download and first sign in to this app. Also be aware that eduroam will fail or show out of range if you’re not on campus while trying to connect. 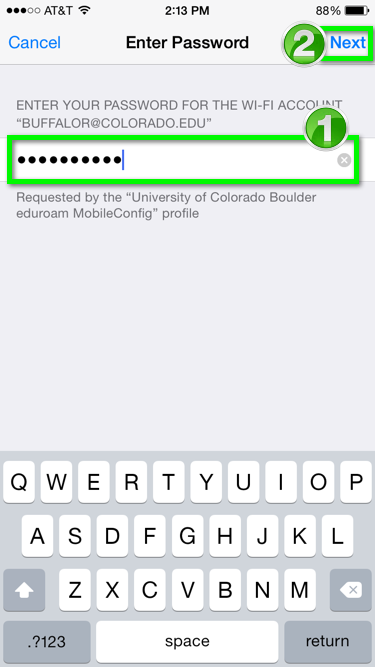 Enter your CULoginName in the IdentiKey username field, then tap the JoinNow button. In the Install Profile screen that appears, tap Install. Enter your device's Passcode, if prompted. A screen will appear asking to install security certificates. Tap Install. In the Enter Password screen, type your IdentiKey password in the corresponding field, then tap Next. You will be taken to a Profile Installed screen. Tap Done. You should now be setup and connected to eduroam. 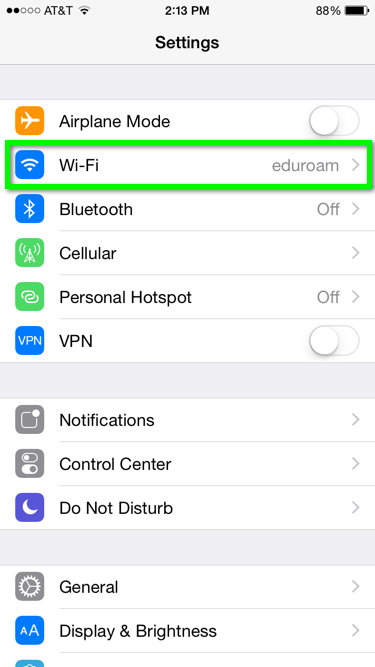 If you are not connected to the eduroam network, press the Home button, then move to step 9. To troubleshoot, first check to make sure you have Wi-Fi turned on. 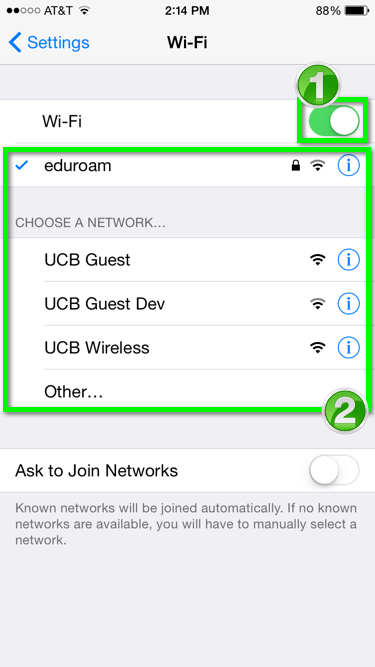 After your device recognizes available networks, tap the eduroam option to connect.